12 November 2018- Justice for Iran and 39 other civil society organizations have written a letter to the members of the United Nation General Assembly, urging all missions to support resolution A/C.3/73/L.42 on the promotion and protection of human rights in the Islamic Republic of Iran. The joint letter expresses the signatories’ concerns over the past year’s trends of intensifying violence and suppression against a number of groups within the country. Human rights defenders, various activists, trade unionists, lawyers, and ethnic and religious minorities are named among others as being targets of the Iranian government’s force, amid protests that have been continuing in the country since last year. 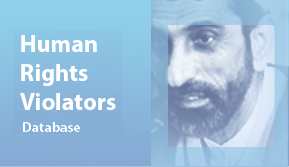 Signatories are concerned that Iran’s government is trampling their citizens’ rights to freedom of expression, association, and peaceful assembly, using national security charges as a cover to suppress dissent, and repressing seekers of truth, justice, and reparation for the mass executions and enforced disappearances of the 1980s. 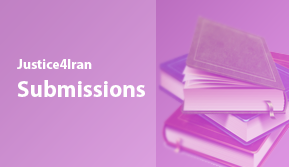 In the letter, the member states are asked to continue providing attention to and support for resolution A/C.3/73/L.42, to ensure that Iran’s government upholds its statutory and customary international human rights obligations.